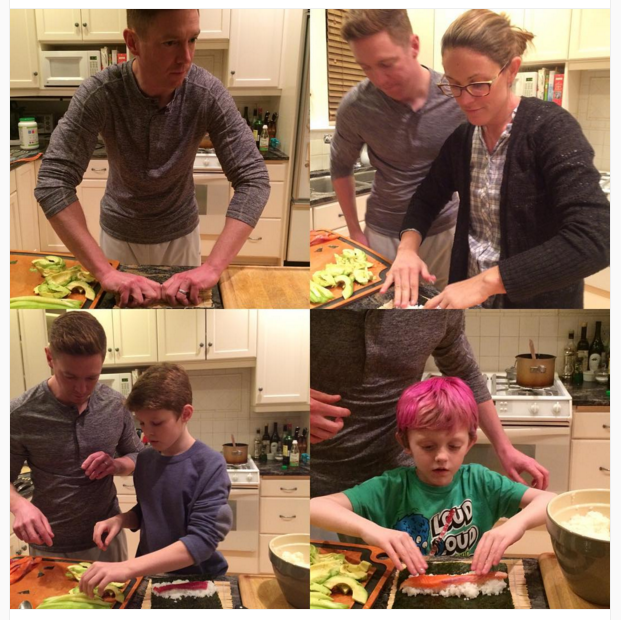 Here we are: a family of creative risk-takers, making culinary magic on a rockin' Friday night. Dan has rolled sushi before, but none of the rest of us have. Here he is coaching us with patience and good humor. I needed this little adventure after another task-oriented week.